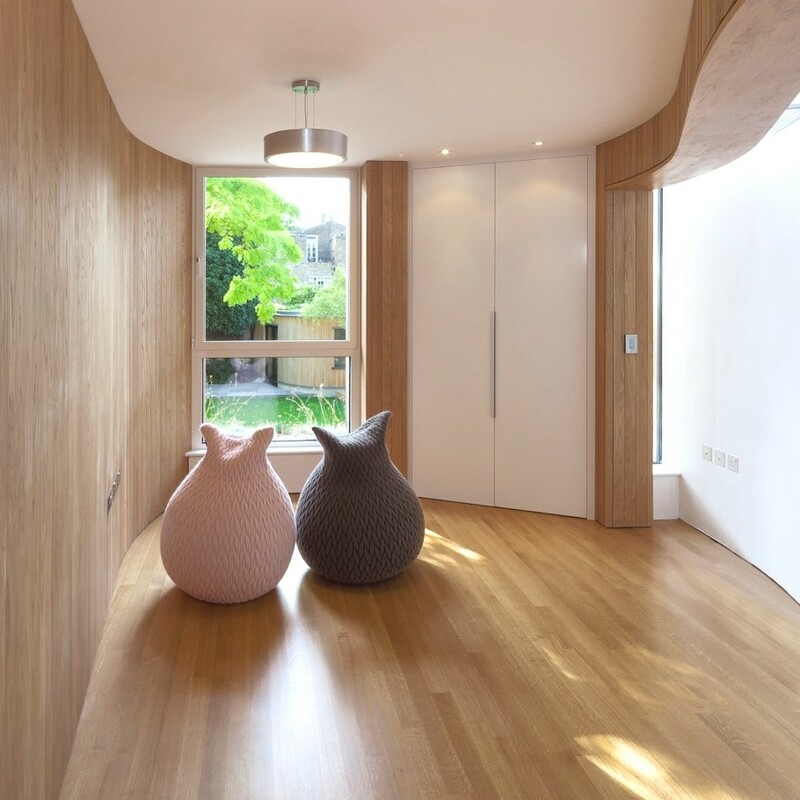 London-based architectural practice, Scott Architects, has designed the De Beauvoir Road House project. 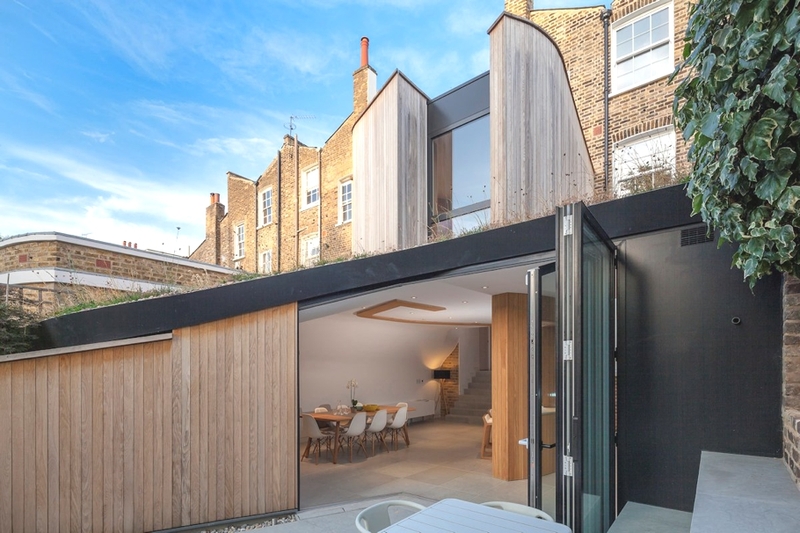 Completed in 2013, the award-winning property is located in Kingsland, Hackney, London, England. 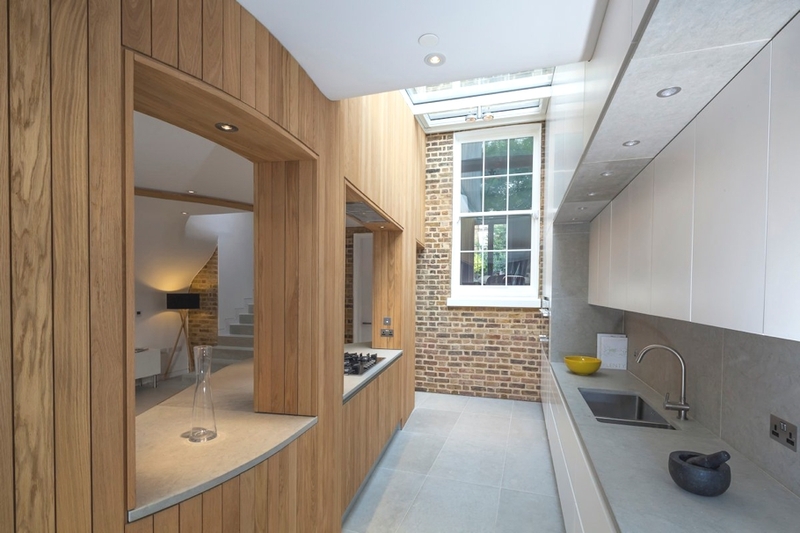 The project included a refurbishment and extension of an existing Victorian terraced house within the de Beauvoir Conservation Area. 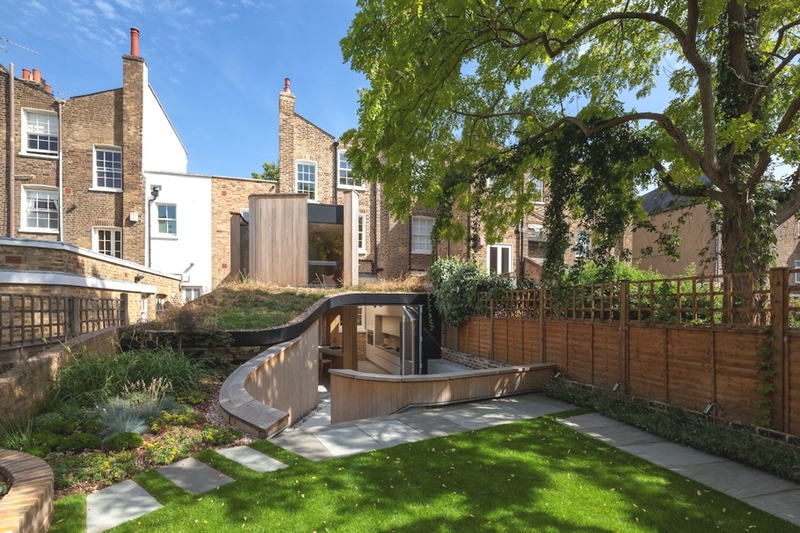 According to the architects: “De Beauvoir Road is a four-bedroom Victorian terraced house that has been sensitively refurbished and boldly extended as a sculptural form that draws in light from the sky and embraces views of its garden and surrounding trees. 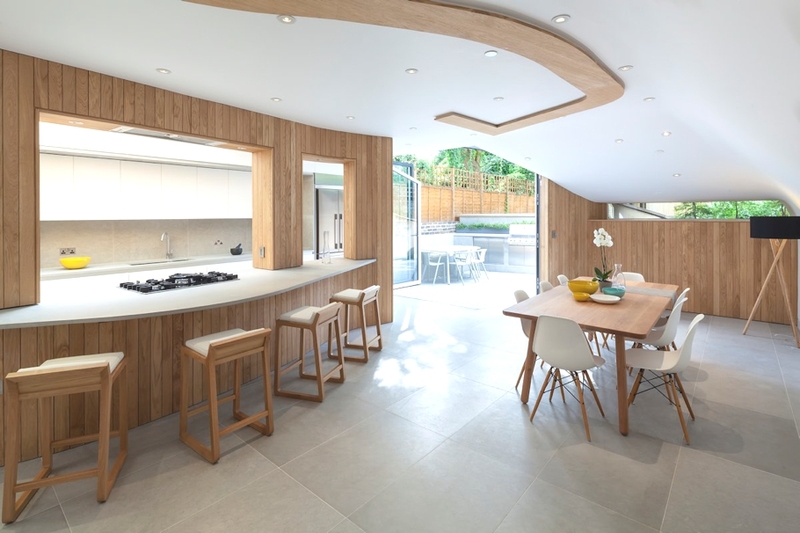 “Set within a Hackney conservation area, original period features have been reinstated using traditional methods while a rear extension of sweeping spaces gives new life to a house that was slowly being outgrown by its family’s modern requirements. 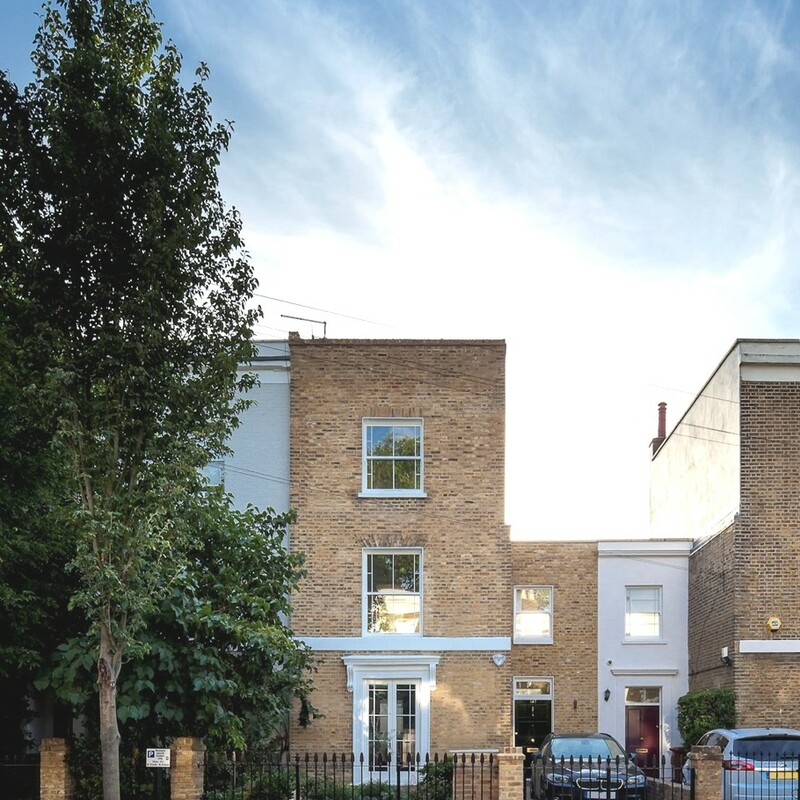 “The form of the new extension has evolved from the language of the site: its gardens, its brickwork and its neighbouring buildings. 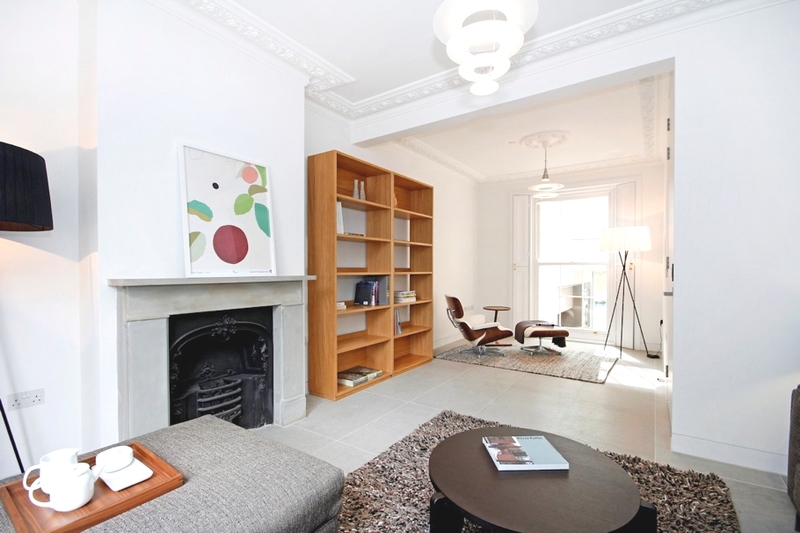 Its curved forms are clad in solid oak boarding to add to a carefully selected interior design palette of natural materials – limestone flooring, exposed brickwork walls and restored Baltic pine floorboards. 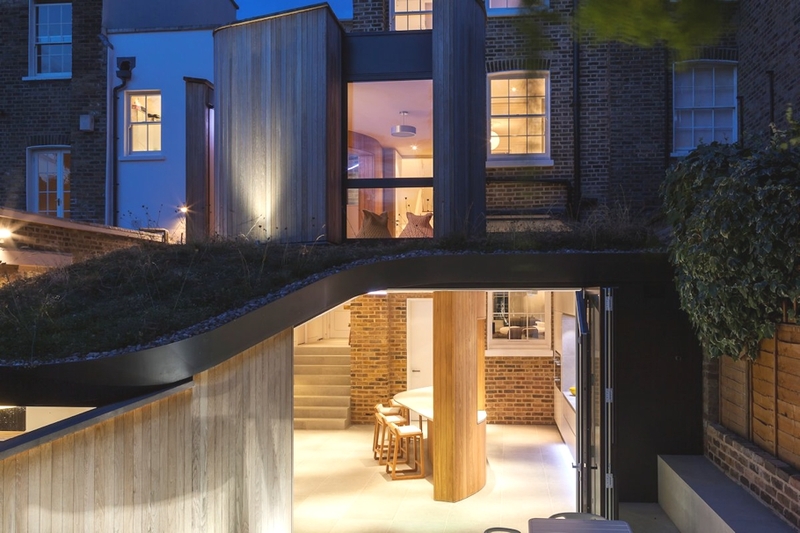 The interiors are expressed as a series of fluid surfaces and flowing spaces that weave through the home, leading one towards a rear garden that gently extends over the dining room as a green roof of wildflowers. “Generously lit indoor family rooms open up and connect with west-facing outdoor spaces. 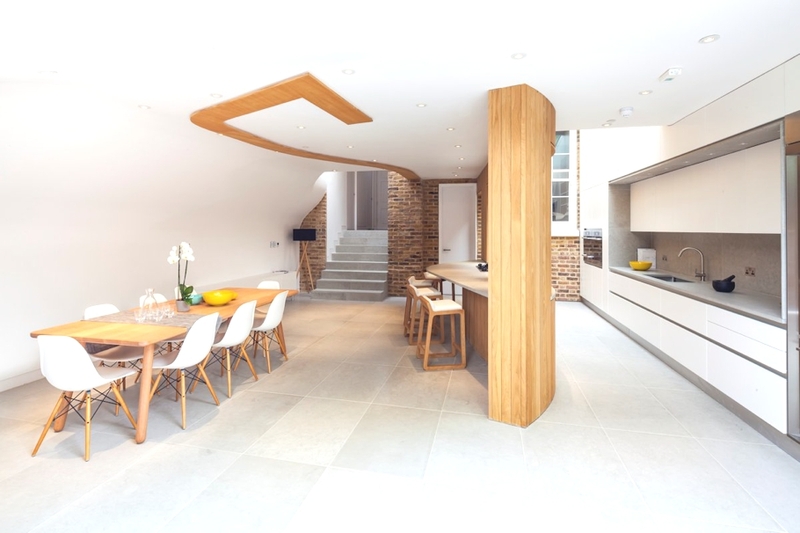 Contemporary forms reveal and celebrate the character of the original house, allowing vertical pools of natural light to wash over exposed brickwork and cleanly composed surfaces. 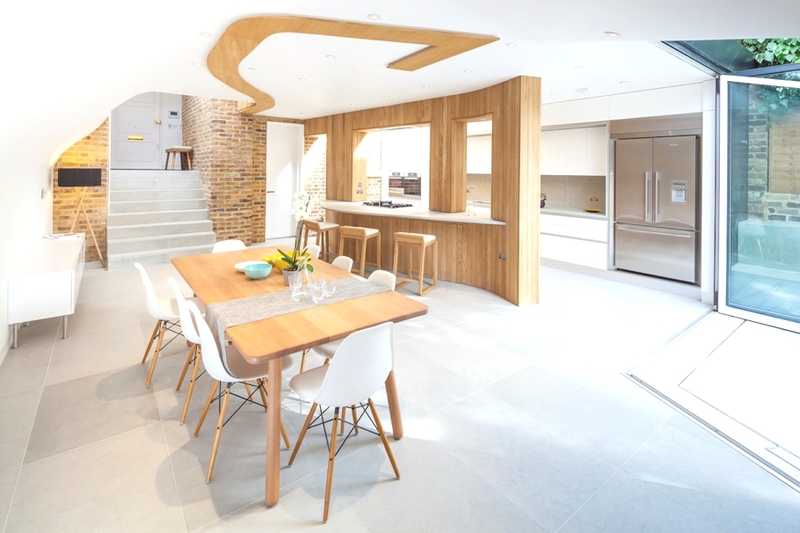 Oak boarding extends through to internal spaces to add texture and visual warmth. Zurich-based architectural practice, Dyer-Smith Frey., has designed the Hard Turm Park Tower project. 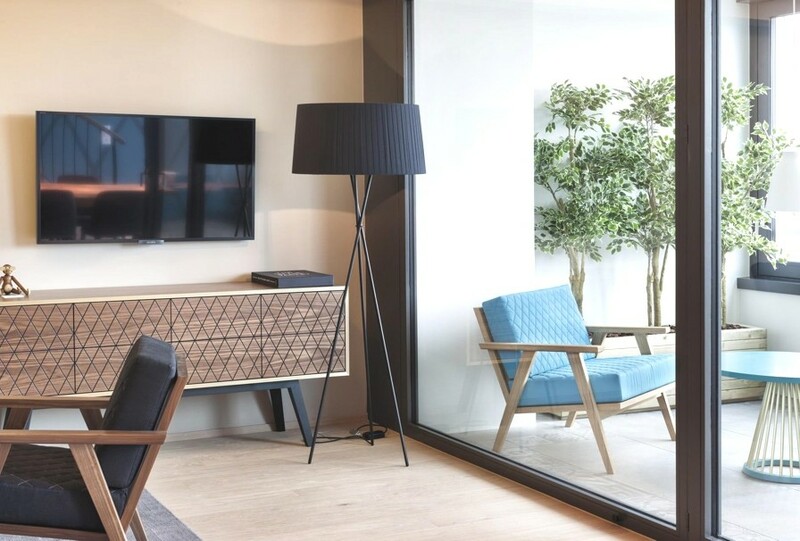 Completed in 2014, the luxury penthouse is located on the 23rd floor of Hard Turm Park Tower in Zurich, Switzerland.